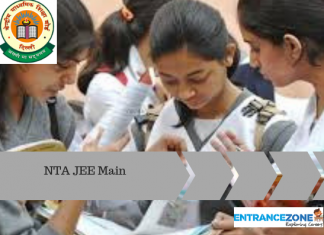 VITEEE 2019 Application Form last date is 28 Febraury 2019. Vellore Institute of Technology will conduct VITEEE 2019 from 10 – 21 April 2019. The application form can be filled in both online and offline mode. Also, candidates need to pay the application fee for completion of the application process. Candidates can submit the form till 28 February 2019. 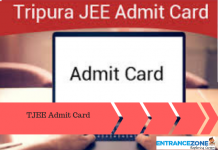 Further, the candidates can book a slot and download the admit card after successful submission of VITEEE application form. The University offers almost 5000 seats in B. Tech in various streams. Therefore, candidates should go through the article given below to find all the details regarding the VITEEE 2019 Application Form filling, submission, application fee payment etc. How to fill the online VITEEE 2019 Application Form? Firstly, the candidates applying for the VITEEE 2019 using online mode can pay the fee only through Credit card/ Debit card/ Net banking. Furthermore, these candidates cannot use Demand Draft payment option. Also, the VIT University has introduced two new campuses at Amaravati, Andhra Pradesh and Bhopal (MP). 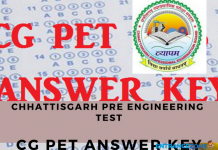 Further, a new exam center has been added in Andhra Pradesh i.e., Tanuku (center code 109). Eluru exam center having center code 187 listed under both Andhra Pradesh and Telangana state is now listed in Andhra Pradesh. Moreover, the new center code for Eluru is 103. Offline (OMR) Application Form: Candidates can obtain the application form at the cost of Rs.1200/- through the following modes. From the designated list of post offices throughout India. List of Post offices (or) By producing the Demand Draft for Rs. 1200/- in favour of ‘Vellore Institute of Technology’, in person, from the following campuses: (i) VIT, Vellore Campus (ii) VIT, Chennai Campus (iii) VIT-Bhopal (MP) (iv) VIT-Amaravati (AP) Online application form: Candidates can apply online at www.vit.ac.in through the following modes. Net banking/Credit card/Debit card/Paytm for Rs. 1150/- General candidates. NRI candidates and candidates choosing abroad test centers can apply through online for $50. Online applicants are requested not to send the hard copy of the application form. Prior to filling the VITEEE 2019 application form, the candidates must check the following points mentioned below. Candidates should check and ensure that they fulfill all the VITEEE Eligibility Criteria for appearing in the exam. Furthermore, if a candidate is found ineligible at any stage of the admission process then the admission will be canceled and the application fee will not be refunded. Applicants should decide about the mode of payment before filling the application form. The candidates have to submit the VITEEE 2019 application form using only one mode either online or offline. Submission using both modes will cause rejection of candidature. However, candidates must go through the information brochure to get a clear picture of the exam and application procedure and eligibility criteria. The candidates have to upload the following documents listed below. Hence, keep the documents ready before filling the form. Note: photograph used in application form need not be attested. 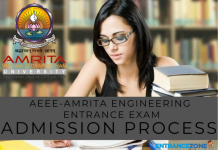 The Complete Procedure to fill the VIT University Entrance Examination is listed below. Firstly, the application form for VITEEE 2019 will be available in two modes: online and offline. Candidate Registration – Enter the name, DOB, Gender, Nationality, Mobile Number, Email ID, Confirm the Email ID and then click on the ‘Register’ tab. Candidate Login – After registration, the candidate will receive Username and Password through e-mail and message. Also, candidates can log in using the credentials to fill the application form. Hence, Candidates must make sure to enter correct and currently used e-mail id. Filling the Application Form – Click on the “Application Form” button on the side menu after logging in. Where did you see our Advertisement for Admission? Note: After entering all the required data, Click on “Save & Next” and proceed further. Step 4. 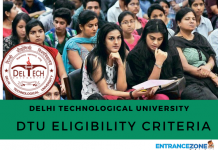 Fee Payment – The fee amount for VITEEE 2019 is Rs.970/- (online) & Rs.990/- (offline). Candidates applying online can pay the application fee via Net Banking/Debit/Credit Card. Candidates opting for offline mode of the Application form can Be Drawn A DD in Favour of VIT University. Step 5. Document Upload – After fee payment, the candidates are required to upload the scanned image of the photograph and signature. Moreover, it should be according to the given specification. Step 6. Confirmation Page – The candidates submitting the application form online need not send the confirmation page to the University. However, the candidates must keep a copy of it with them for future reference. First and foremost, the candidates have to submit exactly the same details as mentioned above for the offline application form. The candidates may avail the VITEEE application form from any of the designated post offices of Vellore and Chennai campus. The Demand Draft should be prepared in the favor of ‘VIT University’, payable at Vellore. Candidates name and phone number must be mentioned at the back of DD. The OMR application form will be processed through the machine so the form must be filled carefully and clearly. After filling the details, applicants need to paste their photo and put their signature in the box provided. VITEEE full form is VIT University Entrance Examination. Note: Do not pin or staple the VITEEE 2019 form. Also, candidates should keep a copy of the filled application form and DD for future reference. Moreover, candidates Parent /Guardian’s signature on the declaration form is compulsory.